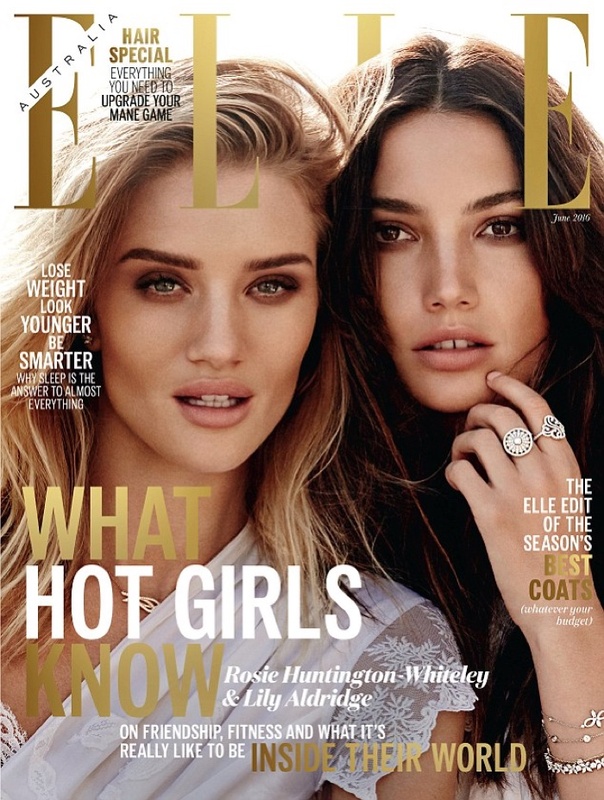 Supermodels Rosie Huntington-Whiteley and Lily Aldridge are enlisted by Elle Australia for its June 2016 cover story. The cover story features an ethereal display of fashion, and the models are draped in white, lensed by Simon Upton in Malibu, California. Rosie and Lily wear all white ensemble for the shoot, some bohemian, some elegant along with being very sensual. The models show off skin and their lithe selves, and are gorgeous with their hair and makeup done in a natural look.